A person suffering from sleep apnea will have frequent lapses in breathing while sleeping. With each temporary loss of breath, the brain sends a distress signal that causes the individual to awaken. 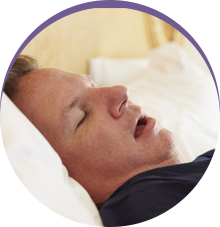 Before any sleep apnea therapy can begin, there must be a proper diagnosis. This starts by reaching out to your primary care physician to have a sleep test (also called a polysomnogram) scheduled, which will be used to monitor your brain activity, breathing patterns, heart rate and blood oxygen levels. The usual time of a visit is nine to 10 hours. After you arrive at the sleep center, it will take around 45 minutes for the technician to set-up the equipment. To get an accurate reading, at least six hours of sleep data will need to be recorded. Based on the outcome of the study, your doctor can then make an accurate diagnosis. Then, if you are found to have sleep apnea, you can seek therapy from a local sleep dentist. 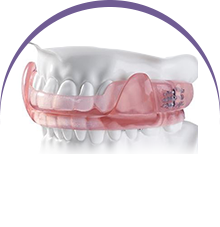 The most common method of treating sleep apnea is with a CPAP machine, which consists of a mask, tube and base unit. While the CPAP machine is highly effective, at least half the patients who receive this form of treatment can’t tolerate it. Thankfully, an oral appliance can provide a comfortable alternative. Instead of a noisy machine and cumbersome mask, the small device fits into the mouth and helps to shift the jaw to allow for better airflow. 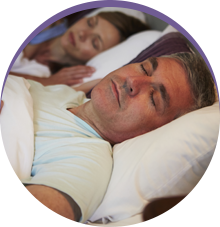 If you’ve experienced any of the symptoms listed above, or you’ve been told you snore loudly at night, sleep tests in Plano provide the best route to recovery. Then, by receiving expert care from your sleep dentist, you can soon lead a healthy and normal life. Dr. Keane Fedosky earned his dental degree from Baylor College of Dentistry. He has since gone on to provide over 20 years of compassionate and concise care. A member of the American Academy of Dental Sleep Medicine, Dr. Fedosky specializes in treating sleep apnea at Sleep Rehab, and he can be reached for more information through his website.